Qantas led Australia’s domestic carriers for punctuality for a second straight month in June, new figures show. The Bureau of Infrastructure, Transport and Regional Economics (BITRE) report on domestic on-time performance said Qantas had 89.5 per cent of its flights arrive within 15 minutes of schedule in June, ahead of local rival Virgin Australia at 87.1 per cent. 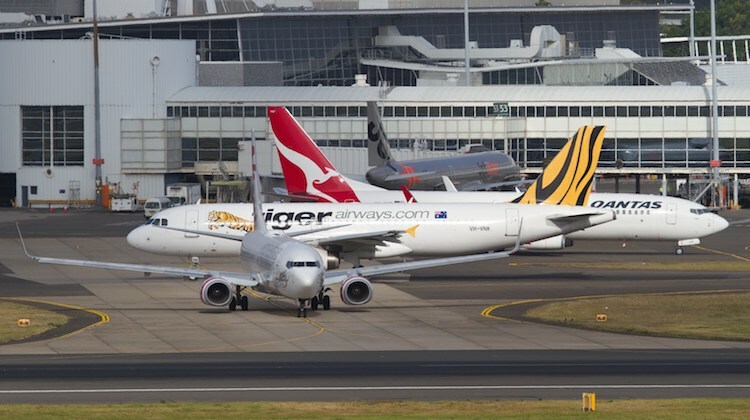 Qantas also led the local carriers for on-time departures at 90.5 per cent, with its regional wing QantasLink coming in second at 86.4 per cent. Among the airlines covered in the BITRE report, Virgin Australia Regional Airlines (VARA) was the only carrier to report an improvement in punctuality in June compared with the previous month, with arrivals up three percentage points to 87.7 per cent and departures rising 2.1 percentage points to 89.1 per cent. VARA also had the lowest percentage of cancellations, with just three (or 0.4 per cent) of its 737 scheduled flights in the month not operated. The BITRE report said Jetstar and Qantas jet aircraft used ACARS (Aircraft Communication Addressing and Reporting System) to electronically measure on-time performance, while Regional Express, Tigerair Australia, Virgin Australia, Virgin Australia Regional Airlines and Qantas’s non-jet fleet recorded on-time performance manually using records from pilots, gate agents and/or ground crews. Regional airports fared best in terms of punctuality, with Port Lincoln posting 95.5 per cent on-time departures and arrivals. Perth was the only capital city airport in the top 10, sitting seventh for departures with 92.5 per cent of flights pushing back from the gate within 15 minutes of schedule. Don’t trust any system that is manually recorded. I’d like to see what the results would have been like for the past few years if all the others had ACARS recording as well. Qantas is SO far ahead of these other airlines with technology that it is pitiful. Winter and fogs account for the all round drop.